Can you name this Edinburgh building hiding behind a row of trees? If so click the link below to email me your answer. I will pick a random winner from all correct answers on Tuesday morning, and they will go on to the ‘Winners wall’ for the month. At the end of the month those on the wall will be entered into a draw to receive a prize. The prize for March is one of my Victoria Street cotton tea towels, which can also be bought through my Etsy shop HERE. 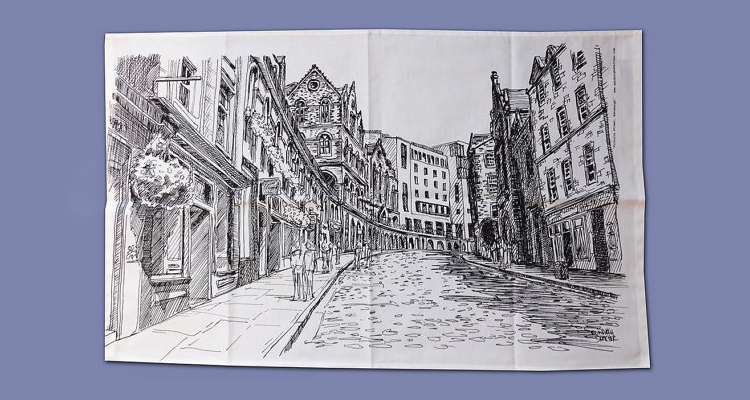 Currently I have three designs: Edinburgh Castle, The Shore in Leith and Victoria Street. 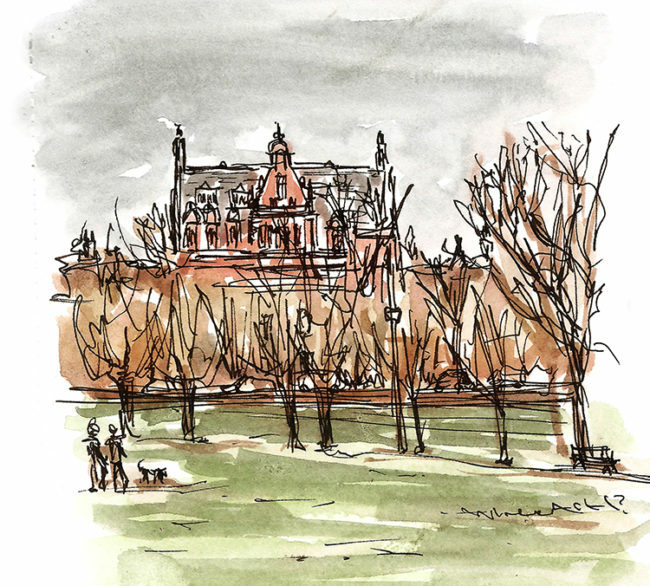 Enter via the link above or email contact@edinburghsketcher.com with the subject line ‘WhereArtI 20th March 2017’.